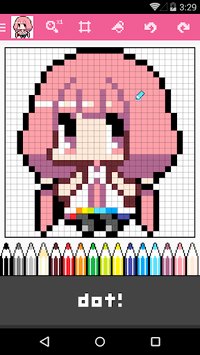 Let's make a simple to draw Pixel Arts! "dotpict" Is a new sense of Pixel Arts painting app. 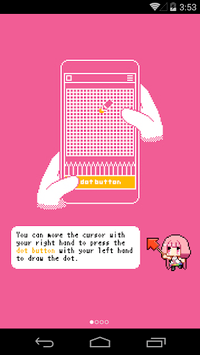 "dotpict" Nib is not hidden by the finger. Like in operability, such as a mouse, You can draw quickly! And peace of mind to enjoy Pixel Arts production is! You can be easily shared with SNS services. Let's introduce the Pixel Art to everyone by email or Twitter! Now "dotpict" Getting started with!